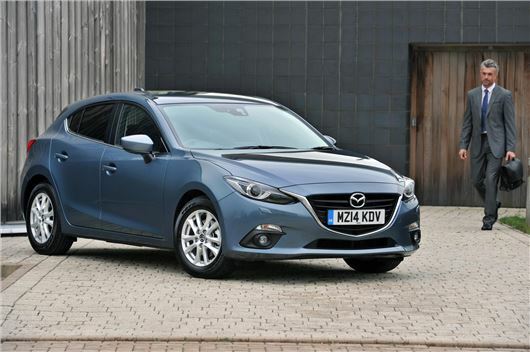 Mazda is claiming demand for its petrol-engined Mazda3 among fleets has exceeded expectations. To date the fleet sales split between diesel and petrol engine models is 63% versus 37% respectively. Mazda says petrol engines models are proving particularly attractive to employees opting for a company car via a salary sacrifice scheme or lease arrangement. Fuel economy of the entry-level Skyactiv-G petrol 1.5-litre 100hp model is 24% better than the previous generation Mazda3 1.6-litre petrol with CO2 emissions reduced by 17%. Increased interest could also be put down to Mazda's own pricing strategy, which sees a big price premium for 2.2-litre diesel engined versions as well as the engine size being too large for some businesses employee company car grades. The low CO2 emissions of the petrol variants combined with the 3% BIK tax supplement on diesel and the higher P11D price of the diesel gives the petrol Mazda3 more favourable benefit-in-kind tax liability and lower employer's national insurance contributions, which are also based on a car's price and CO2 emissions. Mazda head of Fleet Steve Tomlinson said: "The combination of power, performance and specification delivered by the all-new Mazda3 petrol engine range twinned with low CO2 and top-notch MPG is proving very attractive when factored against a monthly lease rate, which reflects annual mileage and excellent residual values."